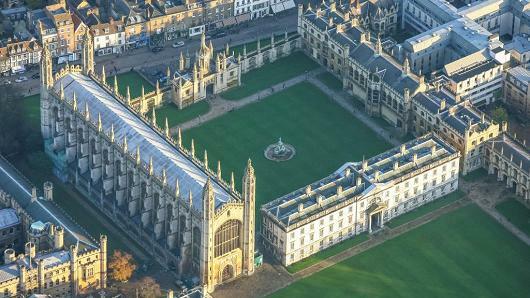 University of Cambridge, UK is inviting excellent students to apply for a PhD position in artificial intelligence. The deadline for applying is January 31, 2019. Prof. Mihaela van der Schaar (John Humphrey Plummer Professor of Machine Learning, Artificial Intelligence and Medicine, Cambridge University) is looking for PhD students with a background in mathematics, statistics, computer science, or engineering, to conduct original research on machine learning and artificial intelligence theory, methods and systems for revolutionizing medicine. Rather than apply off-the-shelf methods we develop new theory and build new models in areas such as deep learning, causal inference, graphical models, statistical machine learning, ensemble learning, learning from time series data and reinforcement learning. The research on personalized medicine and on medical decision support system involves collaboration with medical doctors and researchers from Cambridge, Oxford, New York University, University College London, University of Bologna and UCLA, specialized in cancer research and treatment, cardiovascular diseases, cystic fibrosis, emergency medicine and surgery. We strongly believe that this will change the way in which medicine is practiced today and advance healthcare! To date, our research has led to concrete improvements in early warning systems for ICU admissions, personalized donor-recipient matching for organ transplantation and the analysis of individualized treatment effects, among many others. Successful PhD candidates should have a strong mathematical background and preferably a strong machine learning background and be eager to do research with a strong societal impact improve medical care and discovery. However, no prior knowledge of medicine or biology is required. Applications are invited for a 3.5 year PhD student position in the Department of Applied Mathematics and Theoretical Physics (DAMTP). The studentship is funded by Prof. van der Schaar’s various funding sources. Enquiries should be directed to LE17710@maths.cam.ac.uk. To apply please submit a formal PhD application to DAMTP via the Cambridge Graduate Admissions Office, with Prof. van der Schaar identified as the prospective supervisor. Further details on how to apply are available online: http://www.graduate.study.cam.ac.uk/how-do-i-apply.